If you’ve never eaten roasted garlic, you’re absolutely missing out. Even if you think you’re not a fan of garlic, you should try this recipe: roasted garlic might change your mind. Where raw garlic is biting and sharp, roasted garlic is mellow, sweet, and earthy. 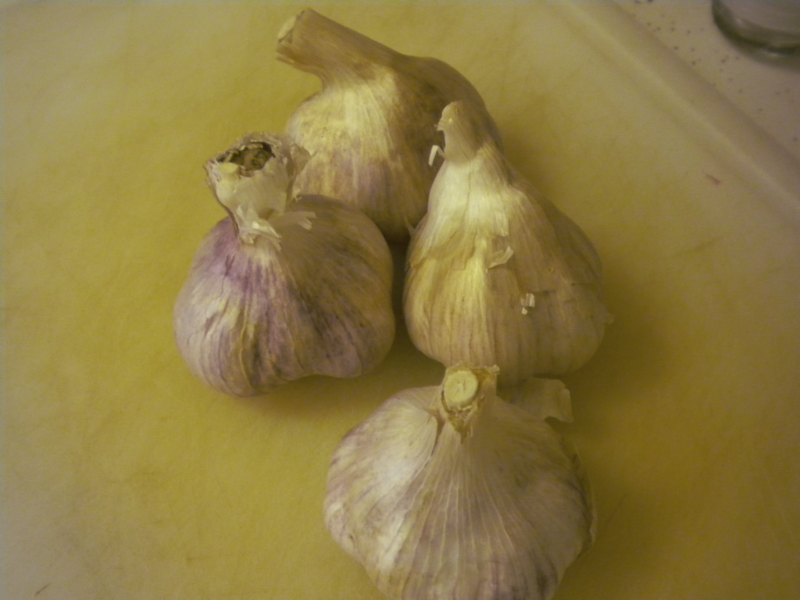 Read my post on the science of garlic to learn more about why this is. 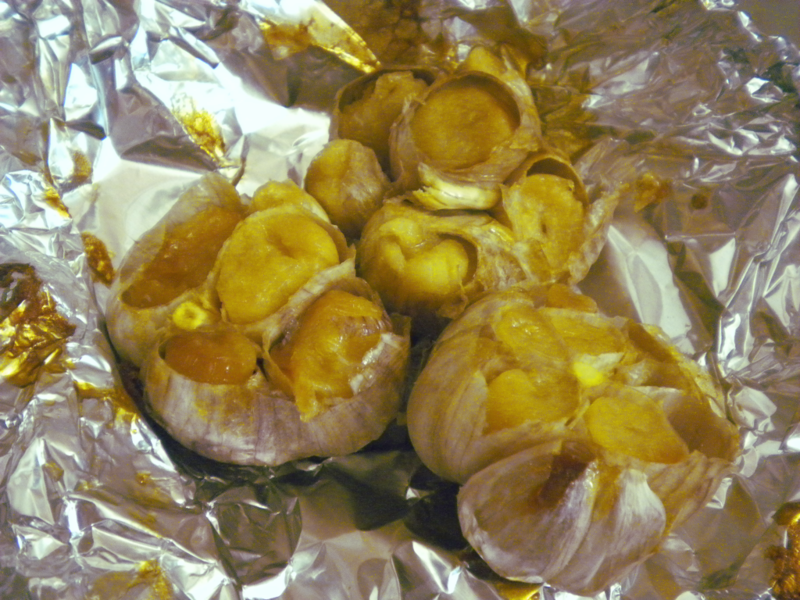 Roasted garlic is one of those things that tastes complex and indulgent but is actually quite simple to make. It also improves just about anything to which you add it. It takes a bit of time, but very little of it is active time. Take the garlic bulb and peel off most of the outer layers of skin, leaving a layer or two such that the head is still intact. 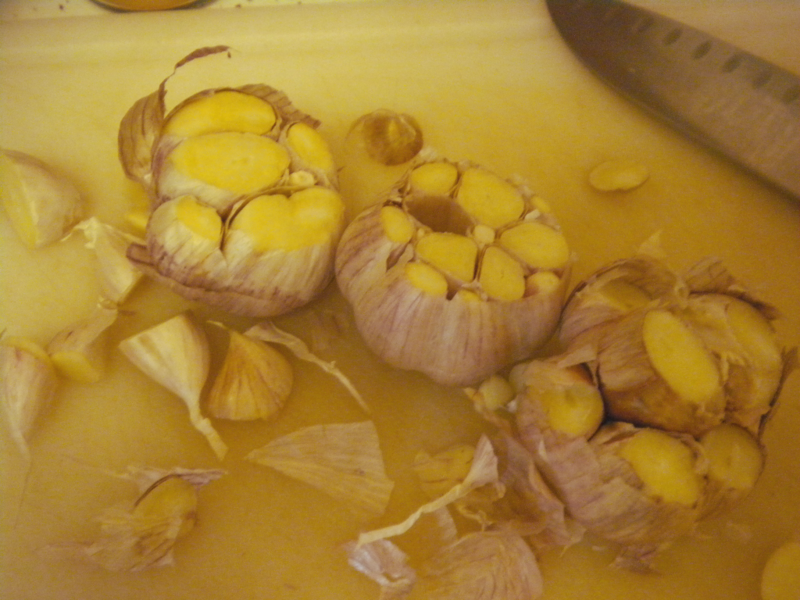 Cut off the top of the head of garlic so that the cloves have an exposed cut edge. Pour some olive oil on top of the bulb, and smear it around to make sure that all of the cloves have a slick of oil on top, and down between the cloves. Wrap the bulb (or bulbs: you can roast more than one at a time) in aluminum foil and put in the oven for about 45 minutes. At this point, check and see if the inner cloves are soft. Cook until they are soft, or until they get as caramelized as you want. mash the garlic onto fresh bread. eat it straight, or, at least, I can’t resist doing this when I roast some. I am SO EXCITED to try this. I always pan roast garlic. This will be quite the treat. Awesome! How do you pan roast garlic? I’ve never done it that way!